Okay, so I've been a bit slack with the entire blog in the last few months. But I am back, and I plan to get this blog back up and running again. 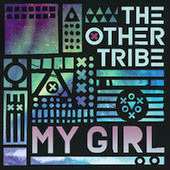 And I'm going to kick this off with The Other Tribe. They were there for me on the week I struggled picking a New Release, and if it weren't for Aiden Grimshaw, I may never had found this amazing band. 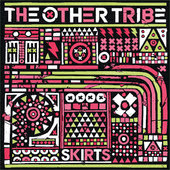 The Other Tribe, are a five-piece band from Bristol, consisting of James Hill, Miles Metric, Ollie White, Alex Oldroyd and Max Cleary. They were a six piece involving Charlie Brown, however Charlie has left the band as far as I can tell, with no reason behind the departure. 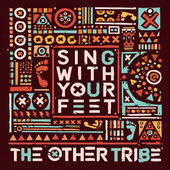 They have released three singles called "Skirts", "Sing With Your Feet" and "My Girl". The former and the latter proved popular on my blog, as well as gaining high ratings from me. They also released a three-track single in collaboration with Kidnap Kid and Eats Everything. 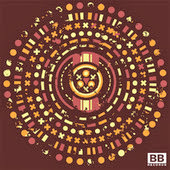 As well as releasing a free download via Facebook for the song "We Should Be Dancing". This band may still be emerging, but "Skirts" got into the UK top 40, making this band my highest charting Artist Of The Month, so far. But their other singles have not faired quite so well, despite performing at many festivals including Glastonbury. Their fans are all waiting for an album, but can they really release an album, that may be amazing, but not gain enough sales to chart? I think a couple more singles need to be released before hand to gain more popularity. This band is an artist we all should be keeping our eyes on, because they will make it big, one way or another. As one of my previous five Artists of the Month have done. I can't wait to see what is around the corner for these guys. I'm kind of hoping a lot of great charting hits, an awesome album, and a sell-out tour. This band knows how to push themselves and they will get to where they want to go. 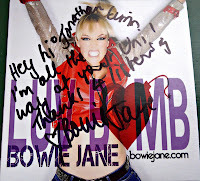 I'm Bowie Jane from Melbourne Australia, now living in London. I'm a singer/songwriter who loves jumping around on stage. Getting the crowd going is what excites me!! When did you realise you wanted to sing professionally? I first realised I loved belting a tune out when I was singing along to Bon Jovi as a kid. It gave me a warm and fuzzy feeling when I could make my voice do exactly what Bon Jovi was doing… I then started performing in choirs, musicals and then graduated onto songwriting and performing in pubs and clubs and eventually festivals!! All of today's pop stars have to work really hard so I respect them all but my absolute favourite is Katy Perry. I really admire her dedication to her career given she had three record deals and lost them yet kept pursuing it through to her current success. She's also a fantastic songwriter. What venue has been your favourite to perform at? Australian Open main stage this year - it was beautiful weather, the crowd were singing along and I had a ball generally!! I loved Staffordshire Uni! Of course yours!! Haha… I also really liked seeing some of the old universities like Oxford etc. Although I haven't had a proper look around yet. Do you play any covers of songs? If so, which ones? I play heaps and heaps of covers - I love songs in general and my favourite is harmonising to the melody rather than singing to the melody (strange I know!!) I think my favourite cover may be singing "What's Up" by 4 Non Blondes. I co-wrote "Bad Boy" with my producer Jason Bond. We co-write all the songs together and have been doing so for the last 4 years which is great! We have a great working relationship! What do you hope to achieve in the next couple of years? How about Glastonbury next year!! Hehe… I would love to keep building the audience and then eventually be doing my own headline tour around the world. Hmmmm… that's really tricky…. maybe P!nk? I saw many Facebook statuses from you about this year's Eurovision, who was your favourite? Oh I love Eurovision!! Especially because I was living in Sweden songwriting last year when Loreen won. [My favourite was Krista Siegfrids - "Marry Me"]… that was a GREAT song! What is your favourite music video you've ever watched? If you could meet any person (living or dead) who would it be? And Finally... What advice have you got for people who are pursuing music? Echo Park has been on my radar for quite a while, I was contacted by James, the bass player in February, asking if I would blog about the band. Four months later and here we are, James has kept in contact and Echo Park has released a music video for their single "Circles". Guess a lot can happen in four months. Echo Park is a five piece band consisting of Laurence Brundson, Michael Walden, Jordan Buck, Max Santos and James Gregory. They are currently getting ready to release their E.P. and have been touring quite a bit here in the UK. They were kind enough to find the time to do an interview with me, they are full of jokes and laughs and a band many people will get along well with. 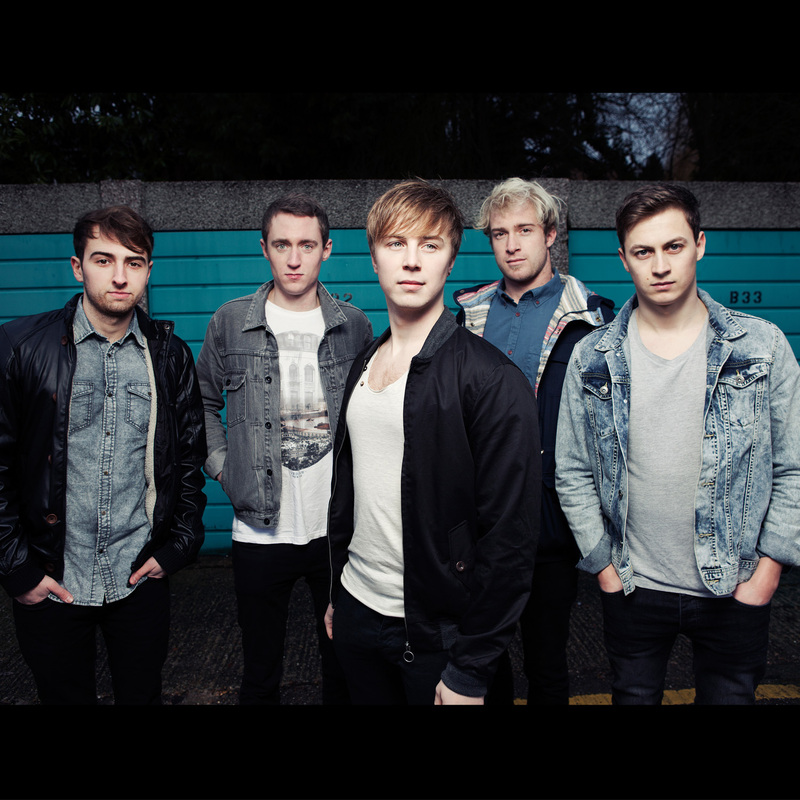 This is my EXCLUSIVE with these guys, and something totally new for Artist Of The Month. Something Surprising: My mother dropped me in a river when I was 6 months old, that's not even a joke! If you had a magic power what would it be? Ice Powers! If you were invisible for the day what would you do? Spend a lot more time at Jessica Alba’s house. That's right….. MORE time! One Wish: For every person to hear Echo Park! Jordan: Getting this line-up together has been a long time in the making! Michael, Max and I were friends from school and had been in a few bands over the years with various different line ups. We struggled over the years to find a singer but eventually met Laurence through mutual friends. I met James snowboarding of all places! Although not a great a boarder, he made up for it on the bass so we let him join. How did you come up with the name Echo Park? Unfortunately there's no real story behind the name, Echo Park sounded cool to us so we just rolled with it. What is the funniest thing you've done since you've been together? Probably our night out after our first gig, it was pound a pint night at the Pav Tav which got pretty crazy very quickly! If you were there for that, sorry! You've performed at a number of places so far, what was your favourite venue? Probably our second ever gig at the 100 Club – It was absolutely packed and loads of our friends and family came down to support. Good party after! Are you friends with anyone famous? James’ Great Aunt lives next door to Robert Plant… if that counts? Yes it does count. So who writes your songs? Who wrote "Circles"? Recently, song writing has been a collaborative effort. One of us comes up with a riff, melody or chord progression, then we jam it and the song gradually develops. For Circles in particular, Mike wrote the song base whilst being majorly influenced by Jordan and the rest of the band through the various sections. 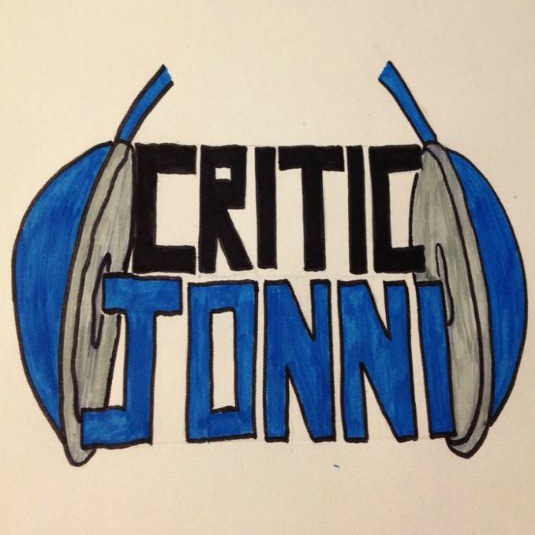 What is "Circles" about? It’s about being fatally attracted to someone you can’t have and you know will only be bad for you. What has been the biggest challenge as a band so far? I'm not sure we have a main influence, we're pretty broad when it comes to music taste. I guess anything from 60's Rock right through to Radio 1 Charts. Hopefully this weird mixture creates something cool?! And finally... What is your advice for anyone starting up their own band? Well April was filled with a lot of university work, hence why I am giving this artist a two month span, since I had planned to give her Artist of the Month in April. But as I explained in her first music video, I was occupied. And I know I have done the right thing because as I type up this article, Jenn D has been randomly selected by iTunes shuffle and I'm currently listening to her second song. Jenn D is something different for Artist of the Month. As many of you know I am a major supporter of dance music and especially people on 'All Around The World Productions', their subsidiary productions such as '3beat Records', as well as previous artists on the 'Hard2Beat/Dance Nation Records'. And Jenn D is a new artist on 'All Around The World Productions'. With two singles released and an album in sight, I question whether she will gain enough popularity to chart, or will she disappear in the next few years? Guess time will tell, but I will be supporting her all the way. She has previously tried success in band Soft Toy Emergency, she then decided to go solo, but caused trouble since she was using the stage name Vela, which is already in use. She finally settled with Jenn D. I just hope that her album gets released, and isn't shelved away for the rest of eternity. Unlike the other Artists of the Month, Jenn D has not done covers on her YouTube channel, leaving much to be desired from this girl, she clearly has more to give us, but with little to listen to apart from her two singles, I am eager, and I reckon the rest of her fans are eager too, to hear the album or at least some samples. As per usual, All Around The World Productions has the rights to releasing the music videos and releases them on their own YouTube channel. 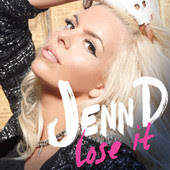 Leaving Jenn D's official channel filled with video diaries and a remix of her first single (which can be found below). So to keep up with her, you'll have to keep an eye on iTunes, as well as her facebook and twitter page. And hopefully her album will be out soon, or at least a new song and music video. Her first song "Lose It", was an over the top dance song, yet she managed to reign it all in for the second single "You Keep Giving Me Your Love". She clearly has a lot of things stored up her sleeves, and I reckon we will end up with a diverse album. I just can't wait to see what she has in store for us all. It'll either be awesome and epic, or it could be a complete failure. Let's hope it's the former and not the latter. Mandia Nantsios is just 16 years old and yet she is so driven, she knows exactly what she wants and grabs it by both hands. She came to my attention when she followed me on Twitter. Now I'm used to this happening from artists and then they'll unfollow me a few days later. But this is not the case with Mandia Nantsios. This Canadian superstar will be one of the most talked about stars in the next couple of years, she has her entire life in front of her, and she has such an amazing voice that she definitely won't be disappearing. She has developed quite a following on Facebook, Twitter and YouTube. It wouldn't surprise me if she becomes very popular very soon. People watch out, she's the next big thing. She has such a great voice she can really put powerful meaning behind each and every song she sings, some of her covers just blow me away, I am definitely going to keep my iTunes updated with her music, because I don't think I will ever find another 16 year old who manages to sing this great. She reminds me a lot of Carly Rose Sonenclar. Her covers on YouTube are extensive, I can't possibly fit them all onto this one page, so for your pleasure click here to view her YouTube channel and you can go exploring yourself. I have added my favourite videos to this profile as I think they deserve acknowledgement at the very least. So first up is the video above, which is a cover of Miley Cyrus' "When I Look At You". It's soulful and captures my heart straight away, as usual Mandia draws you in within seconds and has intepreted the song beautifully, adding her own twist that is empowering. Next is her version of Adele's "Rolling In The Deep", but is it as good as Linkin Park's "Rolling In The Deep"? Well this has been the battle for so long, and Madia puts another different spin, and although it isn't quite emotional as Adele's, or as pulsating as Linkin Park's, it brings this richness to the table. Last, but by no means least, is my favourite out of all the covers on her YouTube channel. 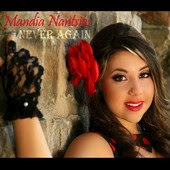 Mandia Nantsios' version of Christina Aguilera's "Your Body" is perfect. It's one of those songs you wouldn't expect to find an emotional connection to, but with her voice, I get goosebumps from this song. She knows what she's singing and she knows how to sing it. What is next for this amazing singer? Well there's an album around the corner to follow up her singles "Never Again" and "One Last Time", both of which has scored five stars from me, clearly she is on a running streak, can she get another five stars? We'll have to wait and see. But I definitely won't stop supporting her, this is one girl who has set her sights high, and it's exactly where she is going to go. The world better watch out, Mandia Nantsios is ready to conquer you all with a voice that will capture hearts everywhere. 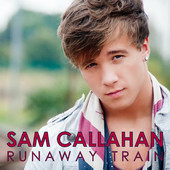 Sam Callahan quickly came to my attention this month due to a magazine that featured him in. It was one page but that's all it took and for some reason he stood out. It interested me into buying his single and I am so glad I took a risk as this is definitely one artist we are never going to forget about, as his voice is top-notch. 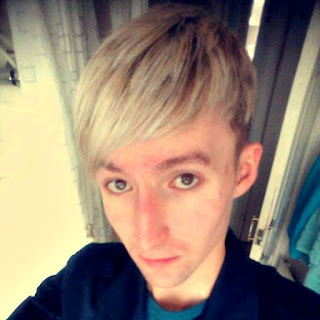 Sam is 18 years old, but he has already been to The Sylvia Young Theatre School, where he met the District3 boys and Nathan Sykes (from The Wanted). This is an artist who already has links, soon enough they'll be quoting his name as people they know. He has done various covers of songs my favourite having to be "We'll Be Coming Back" well known as Calvin Harris Featuring Example, but this cover should be just as famous as it is magical. It is slowed down and pulls at my heart strings for some unknown reason. This is the power of Sam Callahan's voice, it draws attention to his words and his meaning effortlessly. His version of the song can be found on the left. The song can also be purchased as the second track on the Runaway Train Single. He's other well-known cover which also appears on the Runaway Train Single is "We Are Never Ever Getting Back Together" made famous by Taylor Swift. This one even has a video to go with it. I'm not sure what it is about Piers, but I always find them romantically linked in some way or another, and it's so capturing and infallible, that the waves just makes it all the more special. Although it only counts when he's under the pier, on it just doesn't have the same feelings. There's a lot of busking going on and I'm surprised no one comes up to him, they're probably scared of the camera. I like the amusements and everything else. I think this video is pretty up there along with the amazing cover version. He is frequently releasing cover videos on YouTube, and I reckon most will appear on iTunes soon enough, and I wait patiently for that day. He has covered One Direction's "Little Things" which can be viewed by clicking here, it is passionate and soulful, we kind of see a different side to Sam Callahan, but it's a side we all like, and we can really feel his emotion through every word. Another is Jesse McCartney's "Beautiful Soul" can be viewed here, this one is raw, and uncut, it's quick and unplanned, but sometimes raw is exactly what we want, and we can see what Sam is like behind the stage. This video also includes a guest feature who goes by the name of Kevin McGuire, another up and coming guy that I'm sure we'll be seeing more of in the future. The most recent cover version is Justin Bieber's "Be Alright", this is a video to thank all his fans, and he performs it effortlessly. Click Here to see it.